If you fancy a chortle, then we heartily suggest giving this football-themed gem from Peter Cook a go. 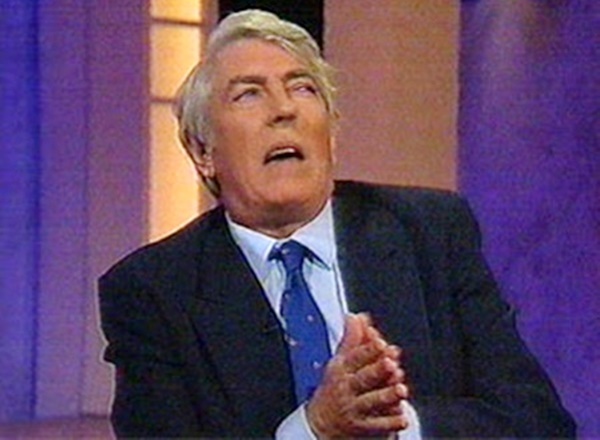 Appearing on Clive Anderson Talks Back in the early 1990s, Cooke was interviewed in character as Alan Latchley, the (fictional) former Scunthorpe United and Aston Villa manager turned motivational speaker. Unfortunately the video has been stripped from the internet by Channel 4, but the audio remains hereunder. Just count how many actual blustering old-school English managers Latchley reminds you of – testament to the surgical precision of Cook’s observation. “She can make you laugh, she can make you cry. She can bring tears to me eyes. She can bring blood to me shoulders. She can… bring the kettle to the boil.